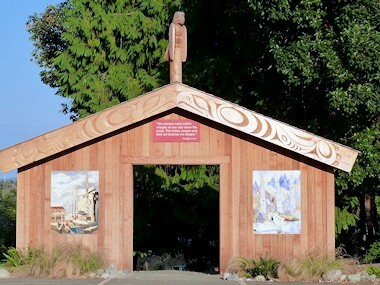 Located on the eastern shore of Vancouver Island, Chemainus has long been a popular tourist destination, but it is also a great place to live, play and do business. 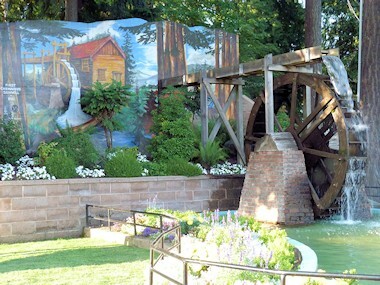 Entertaining, relaxing and tranquil, Chemainus is a favourite destination for family fun and romantic getaways alike. It is an artistic community that boasts a unique mix of gift shops, antique malls, art galleries, boutiques, specialty shops, cafes and restaurants. 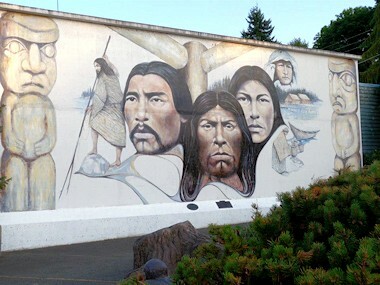 Big draws to the community are the 42 historical murals detailing the history of the town along with the 274 seat Chemainus Theatre, exciting town festivals, local attractions and a wide variety of opportunities for outdoor adventure. By the 1850s, the burgeoning logging industry on Vancouver Island was beginning to demand more extraction and processing ability than was currently available on the largely unsettled central island. 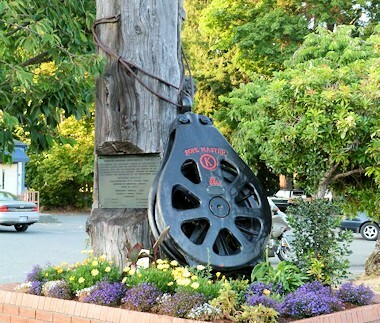 In response, the town of Chemainus was settled in 1858 in order to provide support for the logging industry in the area. 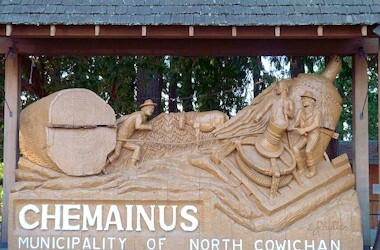 The sawmill, which was to operate for more than 100 years, was completed in 1862, and Chemainus quickly became the hub of log processing on the east coast of Vancouver Island. The ability to strip, cut, stack, and ship the boards out of one town was unprecedented on Vancouver Island, and by 1920, over 600 people lived in the town. As lumber exports from Canada became more popular, the industry continued to grow. The Chemainus Mill operated at capacity for much of the early 20th century, with reductions in capacity occurring while many men took part in WWI and WWII. By the time the Second World War finished, the mill was over 80 years old, and was showing its age. 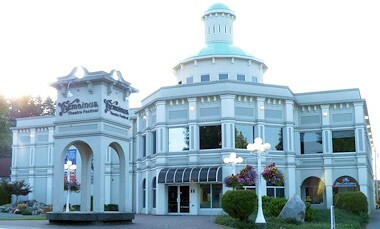 More modern mills had been built in the area, and production in Chemainus was declining. Despite this, the sawmill continued to run, still providing the majority of the employment in the community of now over a thousand people. In 1983, after more than 120 years of operation, the mill shut down for good, leaving the century old town without a primary industry or employer. Houses went up for sale, and people began to leave the town, but some quick thinking on the part of the community and town council resulted in a one of a kind investment project. 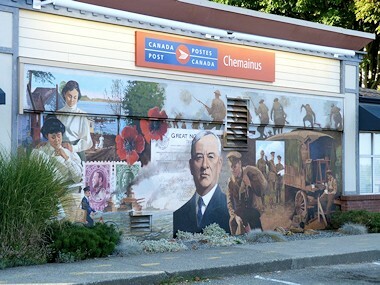 Chemainus commissioned artists to paint the history of the town on the walls of the buildings, the largest mural painting project undertaken in Canada at one time. The murals, still being completed to this day, turned the potential ghost town into a bustling tourist attraction, and they are now known worldwide. Weather: Mediterranean Climate. Low precipitation..
Access: Duncan is 60 km (37 mi.) north of Victoria on Highway #1. Chemainus can be reached by car, Greyhound Bus, Ferries (Victoria & Nanaimo), Planes (Nanaimo) and soon to be operating (2013) E & N train. Recreation Facilities & Activies: Hiking and biking, golf, swimming, kayaking, fishing, boating, diving (on the only deliberately sunk B737), picnicking, mushroom foraging, island hopping, camping, clubs and parks. Community Events: Professional Live Theatre, Arts and Ethnic Festival, ArtBeat walk, art and music, Weekly open mic at the Willow St Caf�, Tuesday night Music in the Parks, Wednesday Farmers Market, Summerfest, Canada Day celebrations, Giant Street Market in July, Bluegrass Festival, Accordion Festival, Jazz in the park, Music at St Michael�s Church, Remembrance Day celebration, Christmas walking tour, Chemainus Festival of Trees, Chemainus Little Town Christmas, Annual Legion Twilight 5km shuffle, Strawberry Tea at St Michael�s. Accommodations: There is in town a Best Western Suite Hotel with many amenities along with lots of lovely B & B�s. Some with separate suites. There is also a camping and RV facility. Up on the highway, 5 minutes away from town there is a motel and more RV and camping sites.